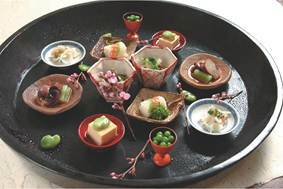 It is said ‘Kaiseki Cuisine’ is a Japanese cuisine version of full-course. A Hifumi-an owner chef, Takamitsu Aihara gives a demonstration lesson. 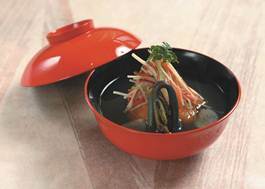 ‘Japanese Restaurant Hifumi-an’ won one star on ‘MICHELIN TOKYO’ and are appeared on ‘MICHELIN Voyager Pratique Japon’. At first, the chef explains Japanese cuisine and the menu and then demonstrates some dishes. After the demonstration, all participants will have Kaiseki full course in a Japanese room. After that, participants will have ‘Japanese tea time’ with matcha and Japanese sweets. If you wish, participants can have an opportunity to learn Japanese table manner.